Today, there are many smart speakers on the market. One thing they all have in common is the presence of a single voice assistant. The selection of assistant varies, but it is always only one. 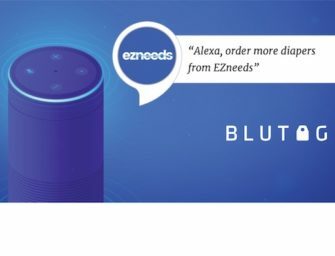 Most often that is Amazon Alexa or Google Assistant. This is not true on mobile devices where you can have Alexa, Google Assistant, Microsoft Cortana and Samsung Bixby all on the same smartphone. Nor is it true of PCs where we are now seeing Alexa alongside Cortana. However, smart speakers remain loyal to a single assistant. Given this background, it surprised many people when during the Sonos One product launch, company CEO Patrick Spence said that the device was being launched with Alexa first, but will incorporate Google Assistant in 2018. The Information is reporting (N.B. paywall) that Google originally resisted being placed alongside Alexa in a device, but capitulated based on Sonos patents that it was either violating or at risk of doing so. “Sonos had a big announcement last October: Its new voice-activated speaker would be the first to work with both Amazon’s Alexa and Google Assistant. What hasn’t been reported is that Sonos achieved this by using its patent portfolio to play hardball with Google. The tech giant previously had resisted allowing Google Assistant to work in speakers or other connected home devices that also support Amazon Alexa voice assistant, say hardware industry executives. The comments about Google’s initial resistance to participating in multi-assistant devices are consistent with previous discussions Voicebot has had in background conversations. However, industry professionals have also indicated that Google’s overall approach has become much more partner-friendly over the past two years. Because of the dominance of Android OS globally in both mobile devices and household appliances, Google was really the one company with the potential to execute a “one voice assistant approach” whereby a consumer’s needs could be entirely satisfied by a single service. Every other voice assistant competitor had a significant gap in potential consumer reach for certain devices or use cases. Amazon’s Jeff Bezos has said at least since 2016 that his hypothesis was founded on the assumption of a multi-assistant world. As a result, Alexa exists alongside Google Assistant on Android smartphones, interoperates with Android OS-driven appliances that also include Google Assistant integration and on Windows 10 PCs that feature Cortana. Taking it a step further, Microsoft and Amazon demonstrated Alexa and Cortana integration just this month at Microsoft’s BUILD developer conference. Google will certainly compete to become the predominant voice assistant used by consumers most often throughout the day, but it seems increasingly likely that users will employ multiple assistants. This will ultimately be better for users in the near term as voice assistant providers differentiate by developing greater feature depth than peers in specific domains. That competition increases the likelihood that domain breadth and depth will continue to accelerate. This situation may also be a key differentiator for Sonos. Amazon and Google are not likely to allow the other party on their smart speakers. Other smart speaker manufacturers don’t have the leverage of Sonos’ IP portfolio so are less likely to receive concessions about offering multi-assistant features. It may turn out that Sonos is the only smart speaker in the near-term that provides multi-assistant support and as consumers increasingly utilize muitiple assistants, Sonos will stand out for its unique feature differentiation.